We specialize in agricultural water. The major problem with agricultural water does it contain levels of nutrients that can restrict maximum crop production. Our report contains guidelines that are simple to follow and generally need no further explanation. By Western Laboratories, Inc. based in Parma, IDAHO (USA). Deerpoint Group has a proven method for determining the grower’s irrigation water treatment needs. Our process is simple, and it is tried and true. 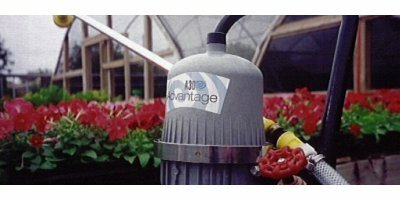 When a grower with an irrigation water problem (drip plugging due to poor water quality, food safety concerns such as E. coli, or algae for example). By Deerpoint Group, Inc based in Madera, CALIFORNIA (USA). Reno Green Landscaping is a leader in water saving practices. Our Certified Irrigation Specialists utilize advanced irrigation technologies and comprehensive design solutions to conserve water and increase efficiencies. 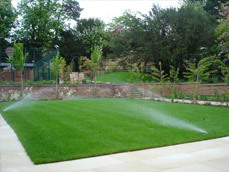 We provide the following water management solutions for new and existing landscapes. By Reno Green Landscaping (RGL) based in Reno, NEVADA (USA). WeatherTRAK Professional Services is the proven leader in smart irrigation. Our dedicated irrigation, horticulture, water conservation and technology professionals ensure you get the most from your property investments. By HydroPoint Data Systems, Inc. based in Petaluma, CALIFORNIA (USA). By HORTUS Technical Services based in Bundaberg, AUSTRALIA. By SUEZ Advanced Solutions Spain based in Madrid, SPAIN.